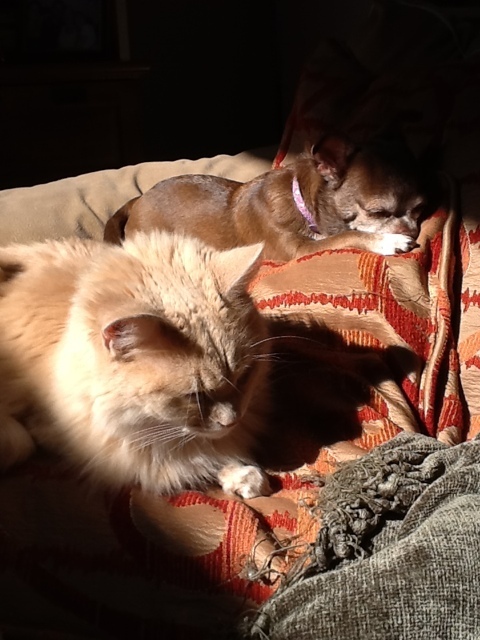 Mama says the Chihuahua is a little “pushy”? I don’t beg, but I do differ!! You see? I DO make myself quite clear, Mama. You listen, life is peachy. 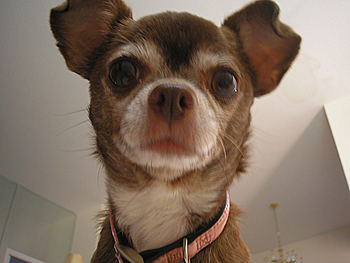 I am not pushy, I am a Chihuahua — short, sweet and to the point! More walks and exercise better be in my future (ahem … oh, Mama!!!!!!) The Chica’s waistline will not improve on good intentions and baby carrots alone. More “public appearances” for the Chica. My fans here in the neighborhood are under control (scary grrrrrrrs, I’m watching you!) and I’m ready for fame and fortune. Maybe we’ll make it to Bark World this year! WooHoo!! More giving back. No, I don’t mean the obvious! I mean getting involved and helping those in need. I’ll be looking for some causes. Suggestions are welcome, amigos. More blog posts from la Chica (ahem … oh, Mama!!!!!!) We all understood the “dark period” while Mama was muy busy working on her book and educational products, but the world also needs a steady dose of Chihuahua Wisdom to continue to evolve. Mucho love and keeeeesses to my familia and amigos. And Cin-Cin!! Now we are cooking with frijoles! We have started receiving entries for our pet photo contest so it is FIESTA time!! And no, it does not have to be photos of dogs. All the critters are my amigos and are more than welcome. To review the details of the contest, check out our original post by clicking here. Vamos, chicos, go ahead and enter!!!!!!!!!! My mama is muy Cuban, but she is not a big spanish soap opera fan. I’m not sure if she was traumatized in her youth having to watch all of her abuela’s favorite novelas. Or if it is because life in this family is enough of a soap opera at times, so there is no room for more exaggerated drama in her life. series, “La Hacienda.” FABULOSO! Move over, Telemundo. We can’t WAIT for the next episode. Heh, heh, heh, they put in all of the best ingredients for a fabulous chica fiesta – the fiery tempers and tempestuous relationships … those soulful, significant looks (these make for awesome close-ups) … there are new relatives showing up at every turn … ahh, there’s lively, dance-y music … and in the end, mucho good food! “Let’s eat,” indeed! 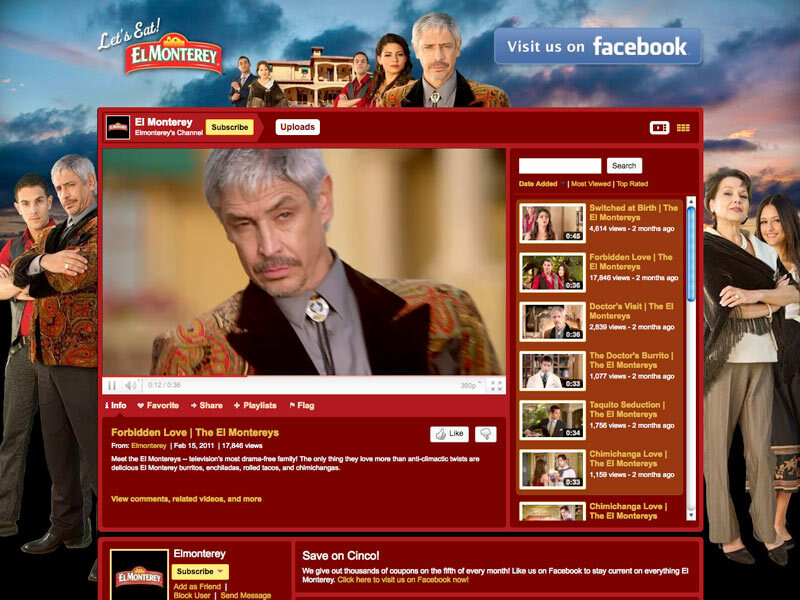 So today, Mama and I looked them up on Youtube to we could share it with the familia, and it turns out that they have a WHOLE channel – http://www.youtube.com/user/Elmonterey – Yippee!!!!! – there is even a bloopers reel. Well, I just had to share it with you too, my chicos. So grab the chips and salsa, sit back and enjoy! Ole!! And as usual, on this beautiful spring Saturday, have a happy pet blog hop. So as you may have noticed, Mama likes to travel. This Chihuahua does not like it much, particularly when I don’t get to go with her. But I do get a little satisfaction when she comes back and I see her trip pictures – she misses me so much that half of her pictures are of puppies. Heh, heh 🙂 The truth is I’ve just gotten under her skin and there is simply no cure. I thought I’d share some of her puppies around the world pictures. Though these cuties may have caught her attention, I am not feeling insecure. I can read between the lines and feel her misplaced love. Enjoy!! Oh, and P.S. If your humans do this too (and I suspect it is a common people affliction when they leave us behind) please do share!! We’d love to keep this photo gallery going. 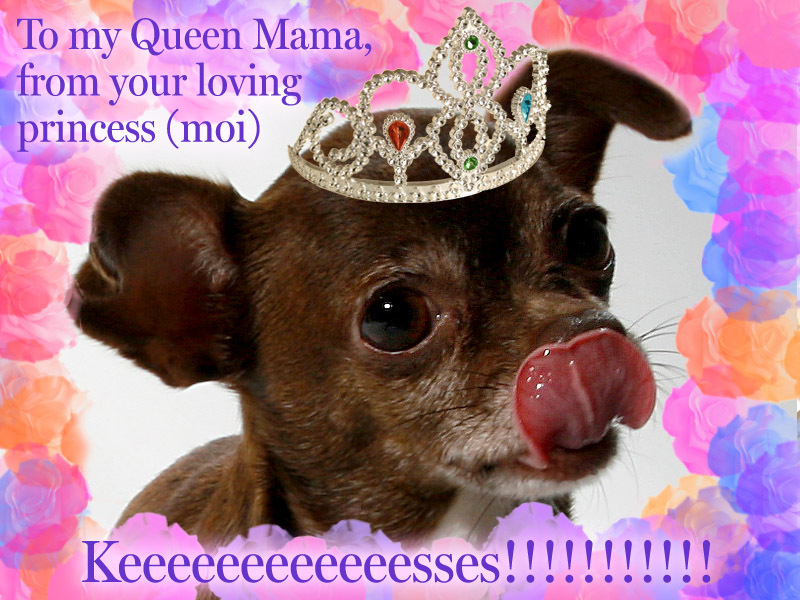 You are currently browsing entries tagged with Dog at Chihuahua Wisdom Blog.